Why did logon fail? 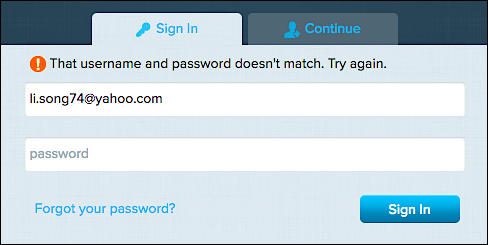 That’s right: because you only changed your Console password; you didn’t change your Dashboard password. So how do you keep your two passwords in synch? For better or worse, there’s no automated way to do that. If you change your Console password to p@ssw0rd! then you’ll need to manually change your Dashboard pass to p@ssw0rd! as well. And, of course, the same thing works in reverse: changing your Dashboard password does not automatically change your Console password.